Further polishing the OAVs into an emotional and visual spectacle near perfection. ...Macross Plus with all the unnecessary stuff cut out and a better end. Macross Plus: The Movie polishes the visual and emotional feast of the OAV series into something even better. Macross Plus takes all the fundamentals of the Macross heritage--strong characterization, interesting (if not wildly original) plot, pop singing, and plenty of transforming robot action--and elevates them to something entirely new. Wrapped in world-class visuals, seasoned with spectacular action, grounded in a rich and emotionally nuanced plot, and backed by one of the most memorable scores of all time, it is Macross Plus is everything you could ask for in anime. Despite its long lineage and relatively archetypal story, Macross Plus feels fresh, interesting, and is just plain good anime. Truly one of the new anime classics, it is a must see for almost anyone: For Macross fans, for transforming robot fans, for admirers of beautiful art and animation, and for basically anyone who even claims to like anime. You'd do well to watch both the OAV and Movie version, but if you're only going to watch one and have the choice, make it the movie. Note: Since the Movie and OAVs are substantially the same, this review only covers how the changes in the movie affect the quality. For a more detailed review, please see the OAV review. 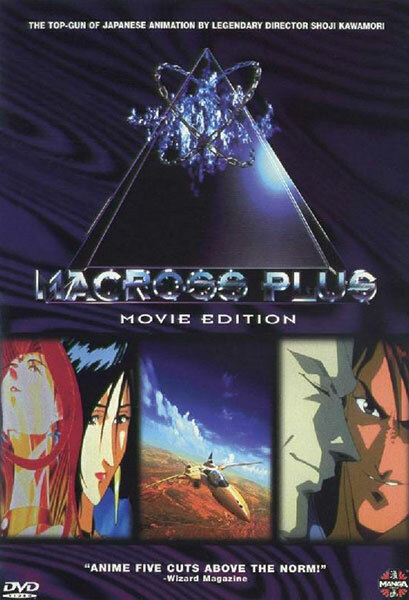 The Movie is an alternate version of the Macross Plus OAVs. Unlike many "Movies" or "Perfect Collections" based on OAV series, it is more than just the set of OAVs pasted together and passed off as a movie--it is carefully pared down and sprinkled with new animation and minor plot adjustments throughout. The changes are, in my opinion, all for the better. One plus (pun unintended) is that a lot of minor scenes are trimmed down, giving the story a much tighter feel. The most major changes (including most of the new animation), and the alterations most beneficial to the story, occur at the very end. I won't go into any detail so as not to spoil it, but the end of the movie is significantly more satisfying and tightly wrapped-up than the OAV version. In all, the movie flows beautifully throughout, and you would have no idea that it had been an OAV series in a past life. The only real issue with it is that by watching the movie, you're missing a fair chunk of some of the best animation you're ever likely to see. For that reason, as well as the fact that the plots are somewhat different and both are quite good, I'd recommend seeing both versions, particularly if you're a big fan of either fantastic animation or Macross in general. In all, a tightened, even more satisfying version of a modern anime classic. This Movie edition, as discussed above, is composed of the four OAVs cut together into a 2-hour movie. Some scenes are cut or shortened to tighten it, the story is adjusted, and new animation added to even out the plot. The most substantive changes, and most of the new animation, come at the very end. Macross Plus is part of the long-running Macross franchise that began with the original Macross TV series in the early '80s (which was commandeered for the first part of Robotech). 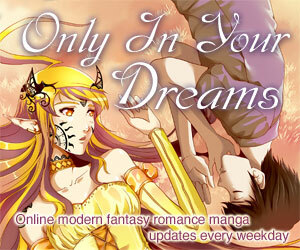 It is followed by a number of sequels and one prequel, as well as several manga and novel series. The "Movie Edition" DVD is Japanese-language only with English subtitles, and claims Dolby 5.1 surround sound. Extras are listed as photo galleries and apparently little else. Some serious violence and mature themes make for a 13-up (note that the movie is slightly more gory than the OAVs). Violence: 3 - Quite a bit of realistic fighting, plus one fairly bloody scene that was absent in the OAVs. Available in North America from Manga Video on subtitled (only) DVD, labeled the "Movie Edition." Was originally available on subtitled VHS. Macross Plus: The Movie is Copyright © 1995 Big West / Macross Plus Project. Any images are the property of their respective rightsholders, and included for review purposes only under the fair-use clause of US copyright law.